Got kids at home who are DC fans or Marvel loyalists? 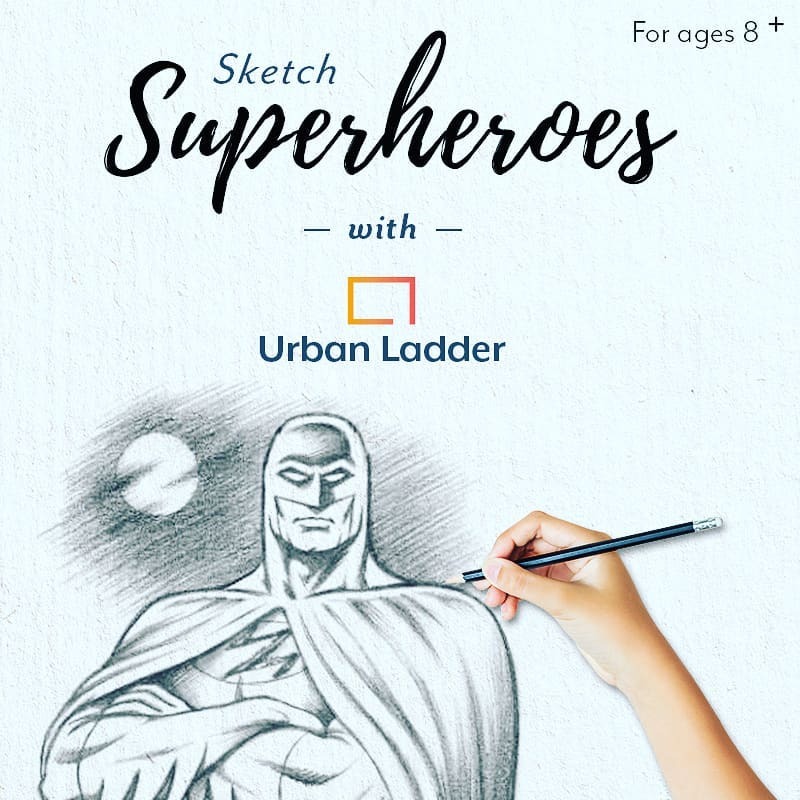 Bring them over to the Urban Ladder store on the 28th of April for a fun workshop on drawing superheroes. At the workshop, a facilitator from Bloom & Grow will teach super girls and super boys the art of sketching superheroes, and guide them to make a few sketches of their own. There are no prerequisites to attending this workshop, and we will provide all the supplies your kids will need. Paper, pencils, and a bunch of imaginative kids – we think that’s a pretty magical combo, right there! What about adults who haven’t outgrown their love for their childhood heroes? We hear you. We haven’t stopped buying Batman t-shirts either. Sorry, but this one’s strictly for the kids! We promise a session packed with fun and frolic. This cool new hobby is a great way to engage your kids this summer vacation. Picture them quiet and absorbed, peacefully sketching one comic book hero after the other. While we can’t quite guarantee that, the odds are good!